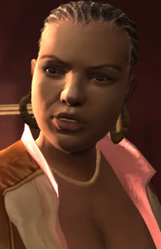 Elizabeta “Liz” Torres first appears in Grand Theft Auto IV. Some authors (see here, here, and here) have indicated she is implicitly coded as lesbian or bisexual. In one scene, she suggestively dances with Carmen Ortiz (seen in this video at about 3:50). 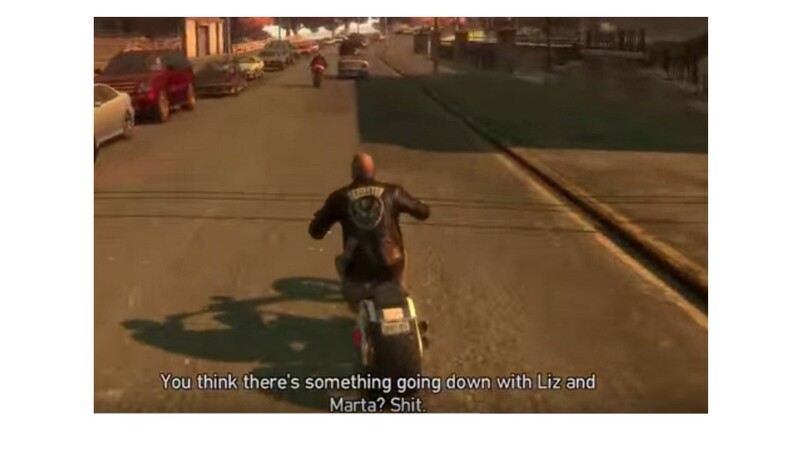 In GTA: The Lost and Damned, during the mission “Shifting Weight,” the player-character Johnny and Malc briefly discuss the possibility that she is having a relationship with a woman named Marta (seen in this video at about 1:20). Elsewhere in the game, in an alternate dialog option, Marta mentions having a sexual relationship with Liz. The script for that mission in the game is available here. This video shows all of Liz Torres’s appearances in GTA IV and Lost and Damned. This entry was posted in 2000s, Bisexual, Bisexual (implicit), Lesbian, Lesbian (implicit), Queer women on September 11, 2015 by Adrienne Shaw.